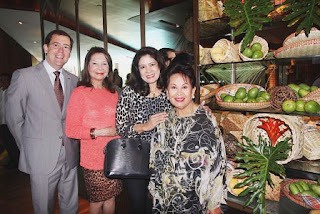 Being an Ilongga myself and growing up tasting the delicacies of Iloilo, my parents' province, I was so delighted to accept the invitation of Charisse Chiudian, Mandarin Oriental's Director of Communications, to the Ilonggo Festival in Paseo Uno. It turned out, the Chef of the Festival, Chef Pauline Gorriceta- Banusing is a good friend of my aunties and cousins in Iloilo, as well as the Chan family, who are the beloved in-laws of my sister, Marisa. What a small world! 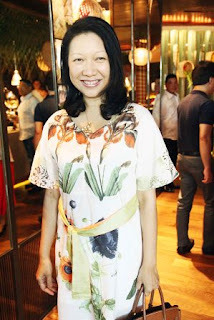 Chef Pauline Gorriceta-Banusing, renowned for representing Iloilo’s famous culinary scene, revisits Mandarin Oriental, Manila’s Paseo Uno for a 10-day fete highlighting the Western Visayas’ gastronomical delights and seafood delicacies, particularly the famed shellfish diwal (angel wing clams). Ongoing until June 3, “Diwal and Other Ilonggo Flavours” is held in conjunction with Makati’s 342nd Foundation Day, and celebrates the sisterhood of Makati and Iloilo cities. Makati Mayor Jejomar Erwin Binay and Dra. Elenita Binay officially opened the festival at ceremonies attended by prominent Ilonggo personalities. Offered as part of Paseo Uno’s lunch and dinner buffets, the Ilonggo specialties include: Grilled Managat (Mangrove Jack); Lobo lobo (Ilonggo anchovies cooked in vinegar, tomatoes and garlic), Beef Kansi with Batuan (tender beef shanks with soup soured with batuan seeds), Chicken Tinuom (chicken steamed in banana leaves); Ginisang Uhong na may Kadios kag Sinugba na Baboy (oyster mushrooms from San Miguel Iloilo with coconut cream. black pigeon peas and grilled pork belly); Adobado na Alimusan (cultured mudfish from Guimaras); Kinilawin na Tanigue na may Tuba (slices of tanigue fish marinated in a special native vinegar from the mountains of Leon, Iloilo); Lukon na may Aligue (fresh prawns from Roxas City with crab fat sauce); and Sinugba na Lokos (grilled squid stuffed with lemongrass, cilantro, ginger, and tomatoes) among others. 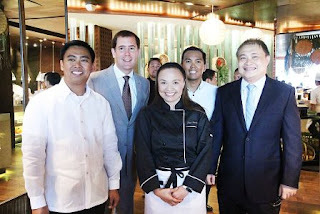 The standard favorites like Chicken Inasal, Batchoy, KBL (Kadios, Baboy kag Langka) na may Batuan are also offered. Chef Pauline’s versatility stems from her roots as a student of the Culinary Institute of America, New School of New York, and at the Institute of Culinary Education (formerly Peter Kump’s New York), where she had rigorous training to meet the most challenging of culinary demands. 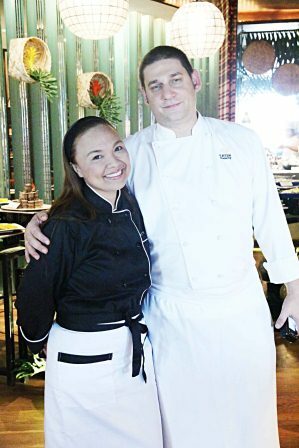 In May 2006, she had her Mandarin Oriental debut as a featured chef at an Ilonggo food festival dubbed as “Manamit!” where she delighted guests with a medley of her hometown’s signature cuisine. She had two more successful food festivals at the hotel, her most recent on being the “Diwal-iciousVisayas: Bounties of the Sea” held in September last year. I could be biased, but the Ilonggo Festival this year can be described in one word: Manamit! The buffet is priced at PHP 1,818+, while Friday and Saturday dinner is priced at PHP2,200+, inclusive of Paseo Uno’s Luxury Buffet. 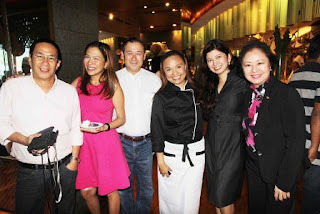 For information and table reservations, call Paseo Uno on +63 (2) 750 8888 or email momnl-fb@mohg.com. Makati Mayor Jun- Jun Binay and Dra. Elenita Binay (not in photo) opened Paseo Uno's Diwal and other Ilonggo Flavors food festival which is held in conjunction with the 342nd Makati Foundation Day festivities and celebrates the sisterhood of Iloilo and Makati. Oh No, It's Johnny, with Jennie Epperson relished the Illongo dishes!